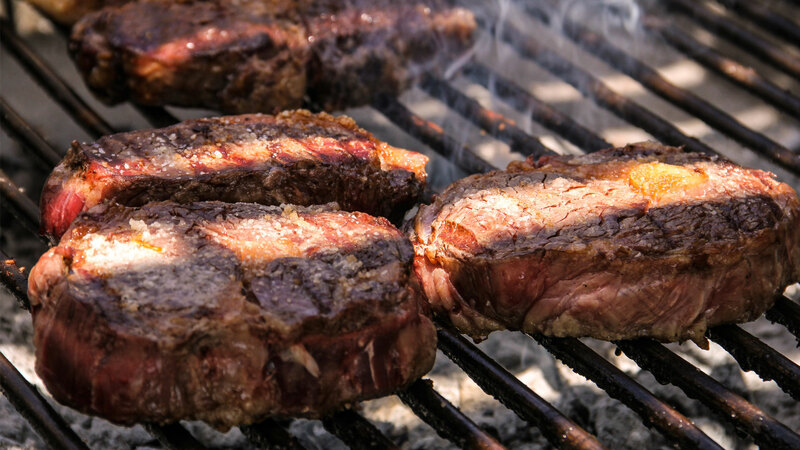 Ojo de Agua produces premium grass-fed beef of the highest quality. We are all about taste. Our meat has intense beef flavor, perfect texture, intense dark-red color, and ideal cell structure with delicate fat marbling. Juicy beef flavor explodes with each bite. Plus, we know exactly where our beef comes from. The perfect fat structure with a dark red color. A juicy steak packed with intense flavor. Like butter. It doesn’t get more tender than this flavor-packed beefy cut. Our favorite for a burger or tartar. The beefiest of all beef. Exclusively available in our restaurants. For those looking for a rich and juicy marbled steak, this cut is for you. Like the name suggests, rib eye comes from the rib of the cow.